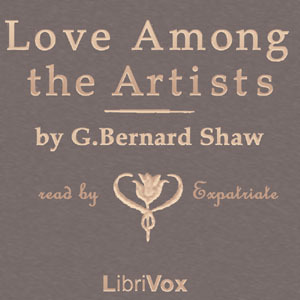 Love Among the Artists was published in the United States in 1900 and in England in 1914, but it was written in 1881. In the ambience of chit-chat and frivolity among members of Victorian polite society a youthful Shaw describes his views on the arts, romantic love and the practicalities of matrimony. Dilettantes, he thinks, can love and settle down to marriage, but artists with real genius are too consumed by their work to fit that pattern. The dominant figure in the novel is Owen Jack, a musical genius, somewhat mad and quite bereft of social graces. From an abysmal beginning he rises to great fame and is lionized by socialites despite his unremitting crudity. As a study of Bohemia and its clash with conventional society, the novel is revealing of Shaw's belief that the true Artist has wholly different criteria than the ordinary person for the living of Life. Written as "a novel with a purpose," according to its author's preface, Love Among the Artists is an ironic novel with a serious intent. - Summary by Wikipedia, supplemented by Expatriate.